At Properties Online, we are proud to be the ORIGINAL and LEADING single property website provider. We host well over 170,000 Single Property Websites at any given time, from a user base of over 100,000 real estate professionals. Because we have been creating property sites since 2001, we have had years to perfect our process and product. 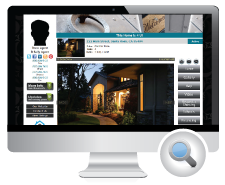 Since we launched our flagship product "ListingDomains.com" over 15 years ago, we have expanded the features to include a video builder, a PDF flyer builder, a mobile lead capture service, a property feedback system and so much more. Properties Online also offers 2 unique AGENT/BROKER website solutions. Our original product, RealEstateSites.com, was built from the ground up using our own proprietary code. Our new agent website platform was created using WordPress. Both solutions are super easy to use and come complete with loads of added value features.